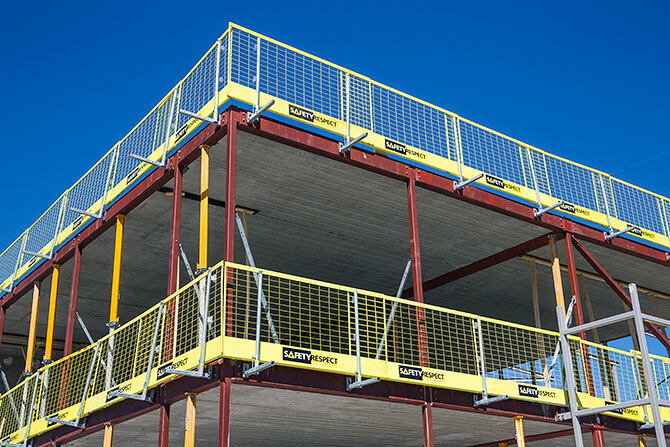 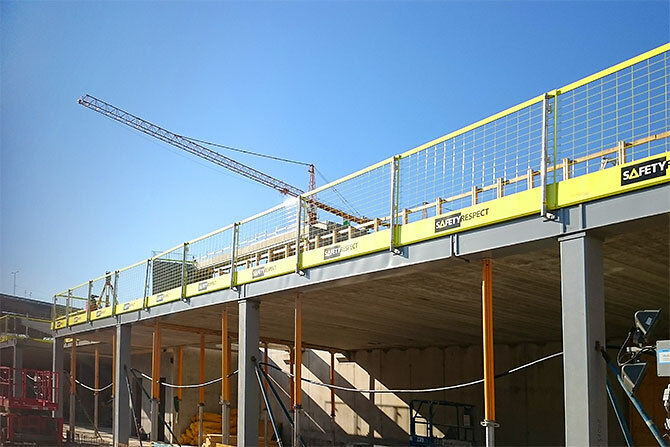 For steel structures we can provide adapted edge protection solutions with various attachments. 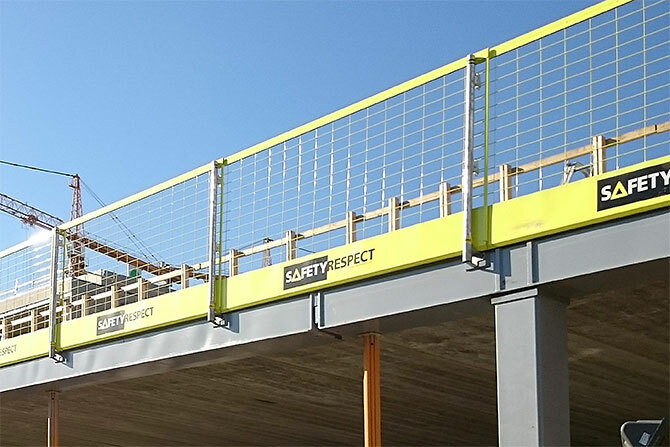 Making of holes and threading, or mounting of Threaded welding plates, can be carried out when manufacturing the steel beams. 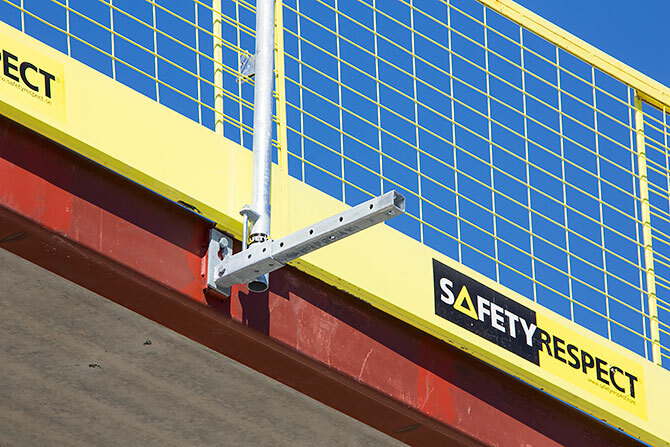 If Flex Facade brackets are used the distance of the edge protection to the slab edge can be adjusted.